This SBT Pickup can be mounted on an type of acoustic stringed instrument with a flat soundboard. The soundboard transducer will reproduce a full, natural and transparent tone. This SBT-E model features the Fishman Switchjack and is recommended if you want a permanent installation. 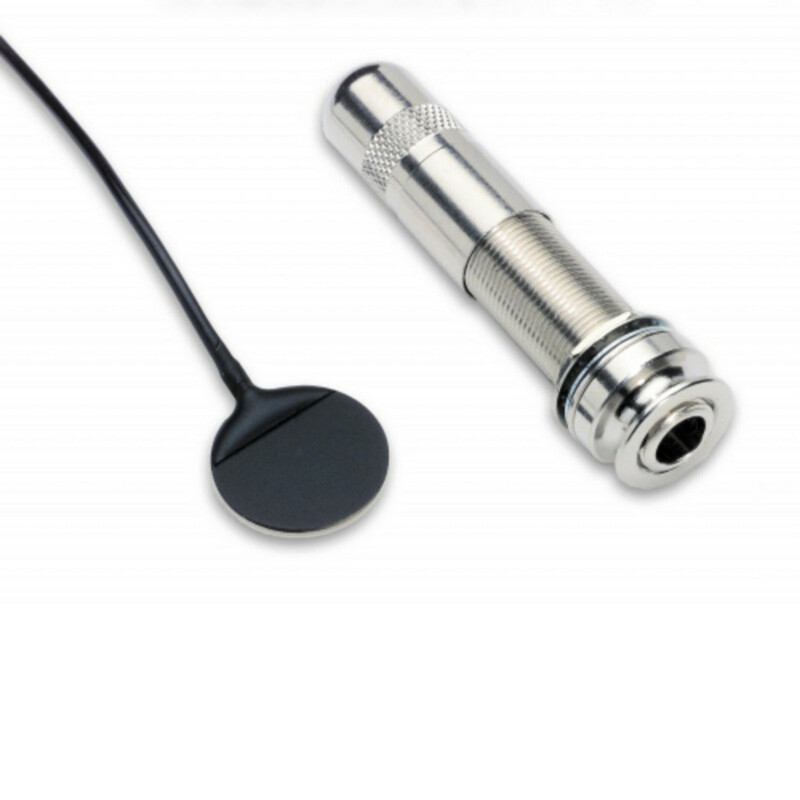 This Soundboard Transducer is perfect if you are looking for a pickup you can easily install on the soundboard of nylon or steel string guitars, dulcimers and similar string instruments. Fishman's SBT pickups sense the microvibrations of a soundboard and reproduce your unique tone. They are a great practical alternative to more expensive bridge mounted units that are more difficult to install. An impedance matching preamp is recommended, but not required, as is professional installation if you are at all unsure. To read more about the Fishman SBT-E Classical Guitar Pickup and its installation please download the PDFs below.